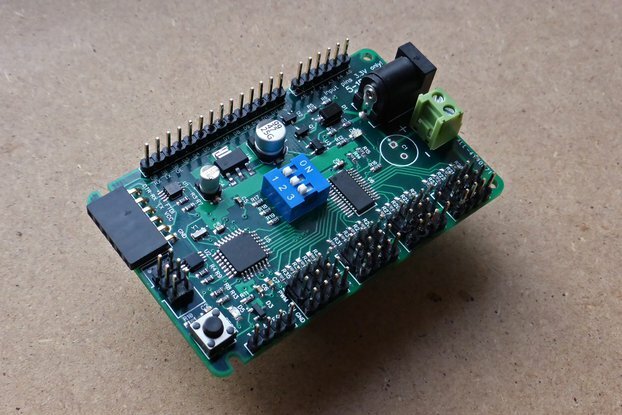 This is a simple development board for the Atmel ATtiny861 or ATtiny167. 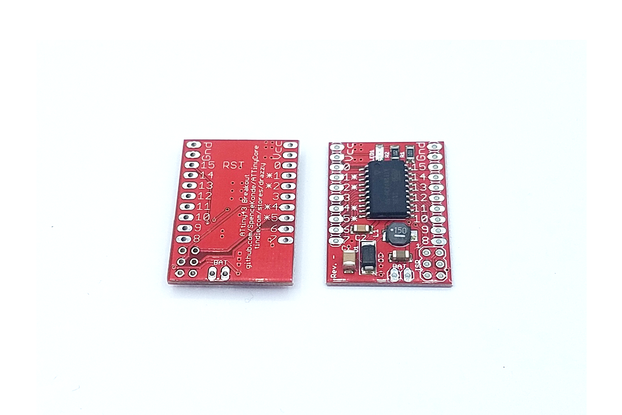 It provides an ISP header for programming via ISP as well as decoupling capacitors, a voltage regulator, and a PTC fuse protecting the external power supply from a short. The ATtiny167 is supplied with Optiboot preloaded, allowing it to be programmed over serial (like an Arduino Pro Mini). 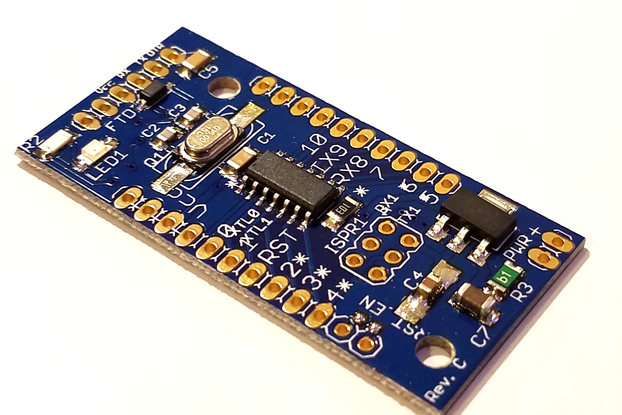 It can be used as a standalone board with female dupont jumpers or header, and the pins pointing up, or with breadboard, by mounting the pins pointing down. For ease of connection w/out breadboard, four Vcc and Gnd pins are provided, instead of just one. 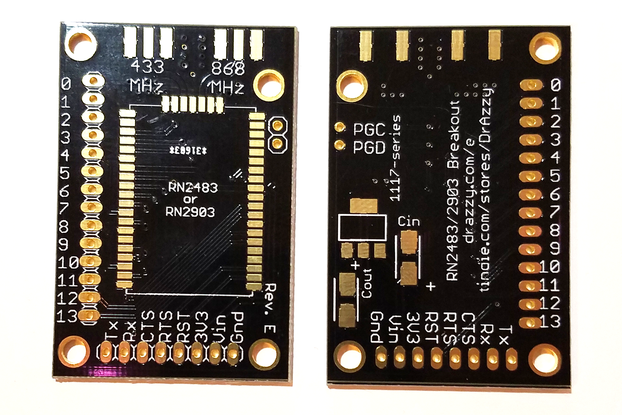 Because these chips are less popular, and have a similar pinout, they use the same PCB; a separate header is provided for programming the 167 or 861. 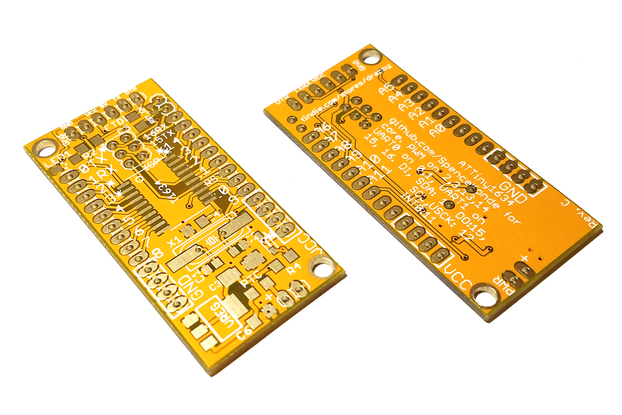 Boards for the ATtiny 861 are sold in two versions, 3.3v and 5v. 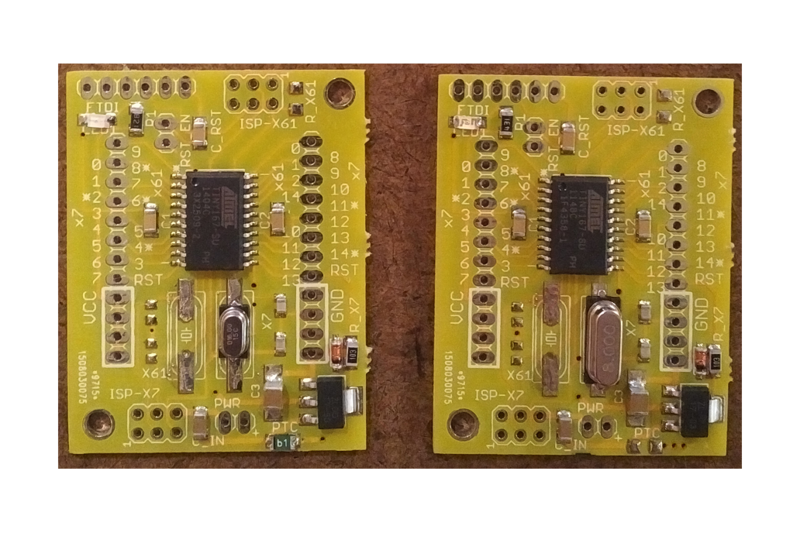 These are pre-configured to use the internal 8mhz oscillator, and internal 16mhz PLL clock, respectively - though this can be changed normally. Optionally, a crystal can be installed prior to shipping, or one can be installed by the customer if a different speed, or higher accuracy, is required. 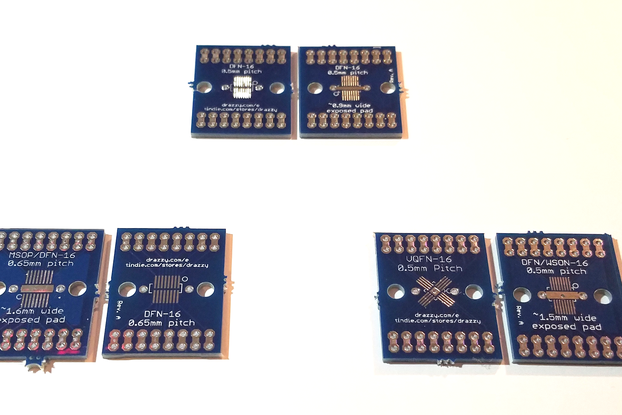 Boards for the ATtiny 167 are sold in three versions, 3.3v (internal 8mhz), 3.3 (external 8mhz), and 5v (external 16mhz). Using the ATTinyCore Universal core available from my Github at https://github.com/SpenceKonde/ATTinyCore, the ATtiny861 and ATtiny167 can be used with the Arduino IDE. 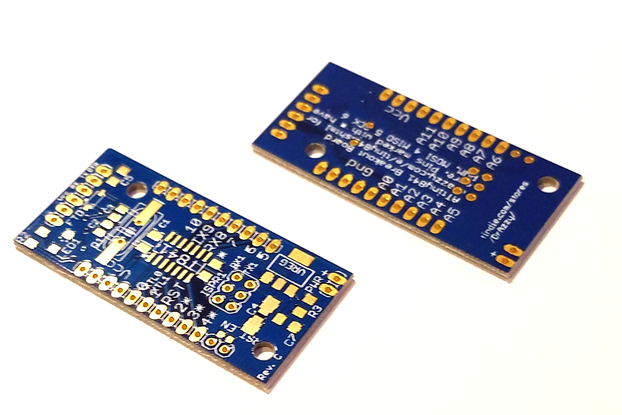 The ATtiny167 can be programmed over serial (like an Arduino Pro Mini), and both can be programmed with any ISP programmer (USBAsp recommended). 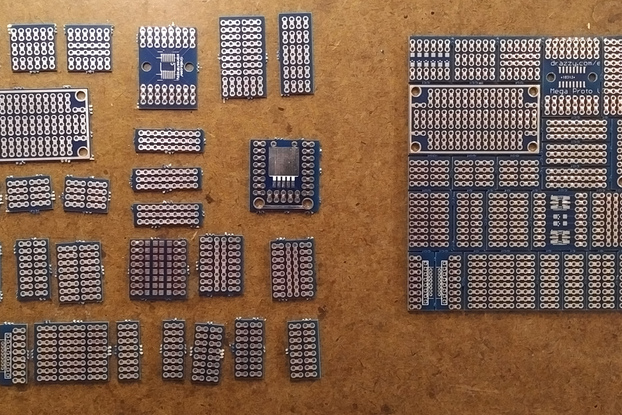 This board is sold ASSEMBLED, but without pins (as shown), with fuses set to use the selected clock source. 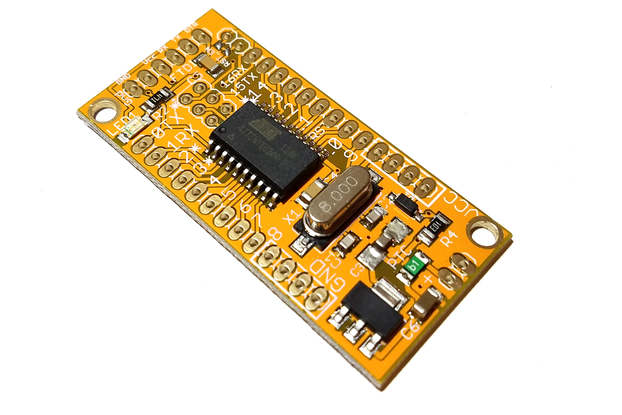 The ATtiny861 is essentially a more advanced version of the ATtiny85. Like its smaller cousin, it can be clocked off an internal PLL clock generated from the internal oscillator, allowing a 16mhz operating frequency without an external crystal. 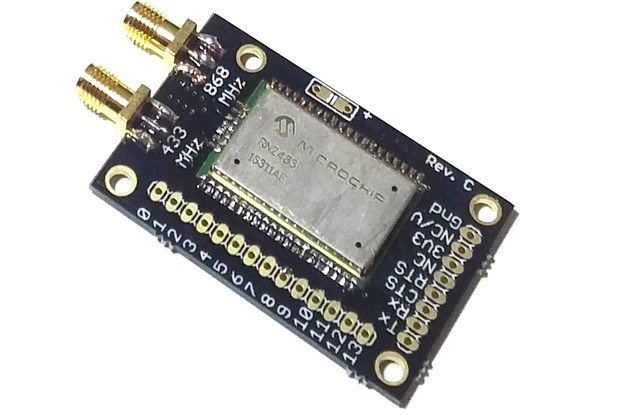 The PLL clock can also be used as the clock source for Timer1, allowing it to run at up to 64MHz, with the same prescaler as used in the x5 series, allowing for PWM and squarewave output over a very wide range of frequencies. The big difference between the x61 and x5 series is the number of pins, and the special features of the x61 series for driving BLDC motors with 3 pairs of complementary PWM waveforms. 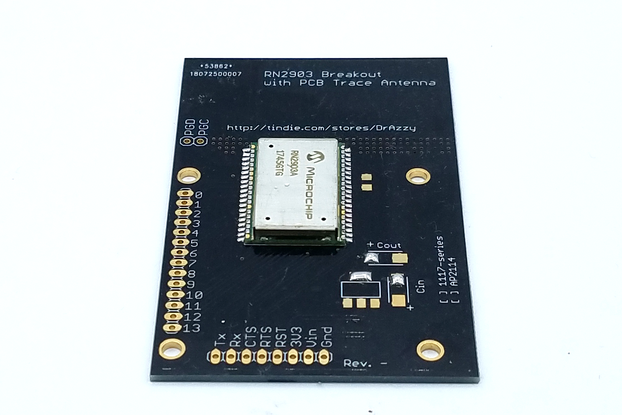 Operating frequency of 8 Mhz (internal), 16mhz (internal PLL), or up to 20MHz with external crystal. The ATtiny167 is the automotive entry in the ATtiny product line, with its headline feature being hardware support for LIN 2.1/1.3, and the acompanying current source for LIN node identification. LIN is a broadcast serial network protocol designed for automotive applications, and has been in widespread use since the early 2000's. The same technology can also be used for general-purpose communication between microcontrollers that support it. As of 11/16/2018, these are preloaded with a new version of Optiboot which does not interfere with using the WDT as an interrupt source. Operating frequency of 8 Mhz (internal), or up to 16MHz with external crystal. Note that the ATtiny861 does not have hardware serial support, and no bootloader for that is supplied - it must be programmed using an ISP programmer.